Midshire can help you design an IT solution that works for your business, big or small! Midshire is recognised as an industry leading UK IT provider; our comprehensive range of managed IT services covers the supply of IT hardware and software, IT support packages and leading-edge IT solutions that ensures your business is productive, secure and innovative. As small business IT requirements are varied and require varied levels of response and understanding, it’s simply not cost effective for most small business to maintain a full time onsite IT employee. Ensuring you’re using the latest and best technology your small business can afford requires knowledge, expertise and a commitment of time and resources. Who decides when you should upgrade essential infrastructure such as network equipment, servers and PC’s. One of the biggest concerns around IT expressed by small business owners is that what new solutions they might miss that could help them with their business. With all these concerns and questions, it’s now considered best practice that IT support for small business is outsourced, or moved to a cloud based system that can be managed and serviced by a reputable IT company. 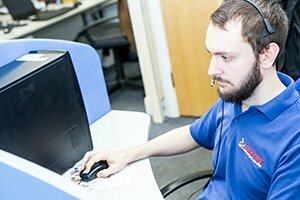 Midshire offers IT support to many small businesses, our solutions are designed to maximise return on investments and reduce downtime experienced. Midshire’s technical experts are committed to working closely with your business to deliver solutions to support your workforce and the wider business. Midshire offers a hosted desktop solution – Desktop Monster which is the ideal platform for small businesses and start-up firms. There is no need to buy new PCs, servers or software licence upgrades, allowing this investment to be used for more strategic investments to help the business grow. Additionally, you only pay for what you use whilst taking advantage of the latest technology and full IT support for your small business. Our IT support contracts and hosted desktop platform are both scalable, so our support grows with you. Flexibility is key to scalable IT support. Having a scalable solution means that admin, investment and stress is all reduced. Businesses that are in the private sector are constantly looking to grow, by having a scalable solution, your small business can plan with the knowledge that the IT infrastructure in place will be suitable for the long term. Additionally, if your business needs streamlining, a scalable IT solution enables you to ‘downsize’ your IT requirements, with minimal disruptions.